BKG Services provides much more than janitorial services. We provide routine building maintenance and service facilities ranging in size from 5,000 to 500,000 sq ft. In addition we also service your ground keeping needs by providing landscaping and snow removal. Our associates are available to perform all your building maintenance needs on-site or on call. 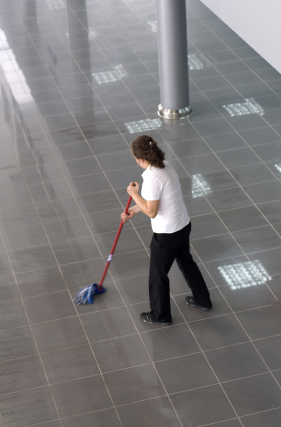 Whether your floors require waxing, stripping, buffing or scrubbing, our dedicated employees will apply their skills to maintain your hard surfaces such as commercial tile, concrete floors, quarry tile, marble and granite. As experts in commercial and industrial cleaning, we have been retained by public and private sector companies to perform under a variety of cleaning specifications. Our government contracts have included the FAA, Army Reserves, VA Clinics, and the Army Medical Clinic. We have a number of certifications that allow us to operate in a number of ways and interact at many levels in both public and private sectors. Click below to view our list of certifications. © 2016 | BKG Services, Inc. All Rights Reserved.